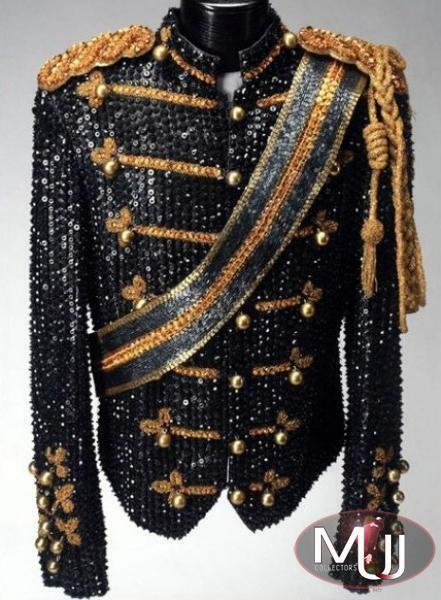 Black lamé jacket completely covered in black Swarovski crystals and decorated with gold seed bead striping on the chest and cuffs. With removable epaulets and sash and a rope at the left shoulder. 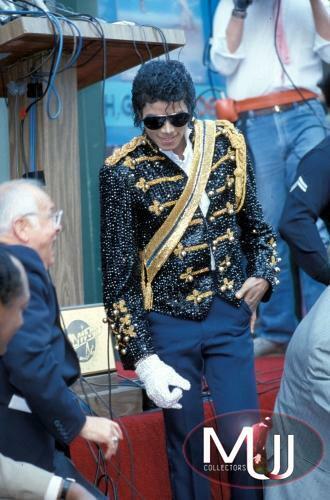 Desgined by Bill Whitten and worn by Michael at the 1984 unveiling of his star on the Hollywood Walk Of Fame. 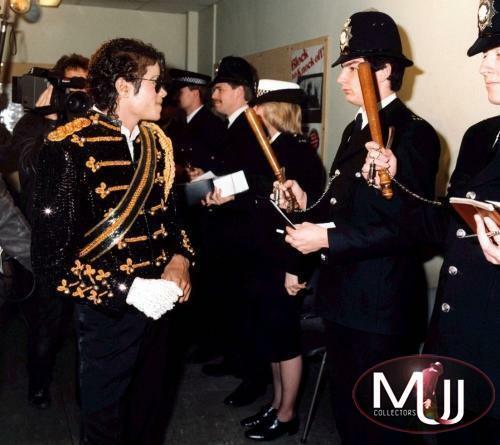 Michael can be seen wearing the same jacket with a different sash during his 1985 visit to London. 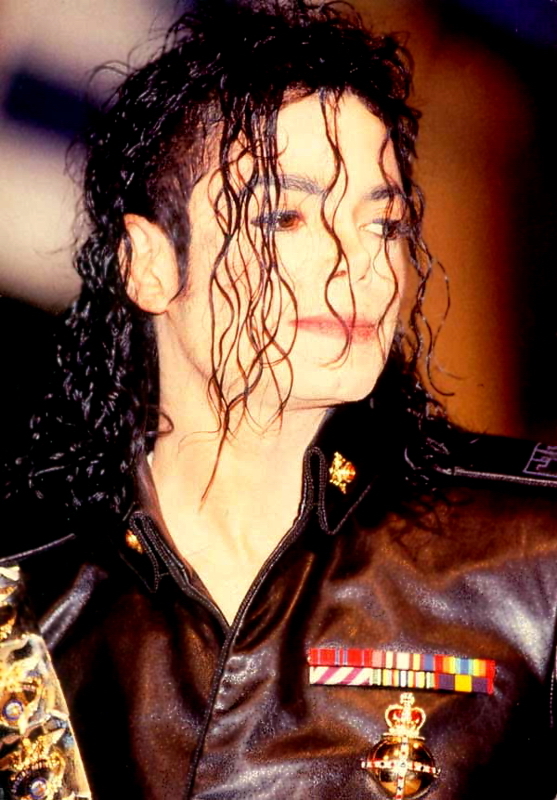 The jacket was on public display at the Los Angeles Grammy Museum until April 12, 2009.